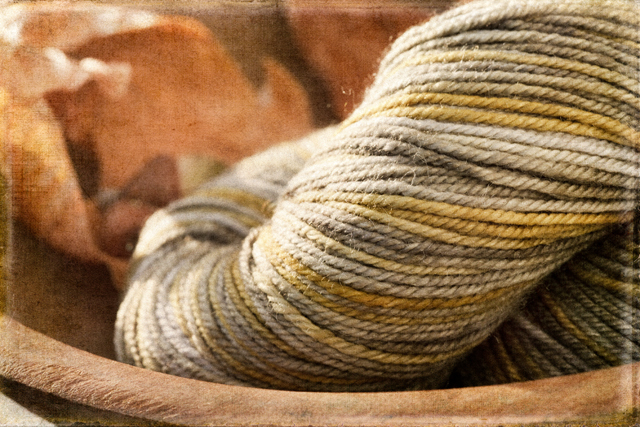 'Hazel Leaf' from Shalimar Yarns for Anne's 'fall in full color' club. Sigh. You knew I had to be in that club, right? The patterns are really lovely, you'll have to peruse them here as I haven't cast on yet myself...I'm still finishing up my projects from summer! 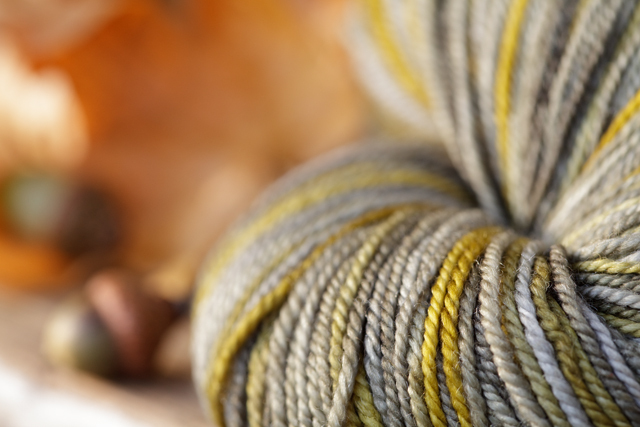 I'm particularly enjoyng the yarns as both shipments have been from dyers who I have heard of but never used before (Spirit Trail Fiberworks was the first offering). The first day of fall is tomorrow!! I might have to have a PSL with whipped cream to celebrate. What about you...any celebration plans? By leaps and bounds you have grown so much this past year. It is amazing. 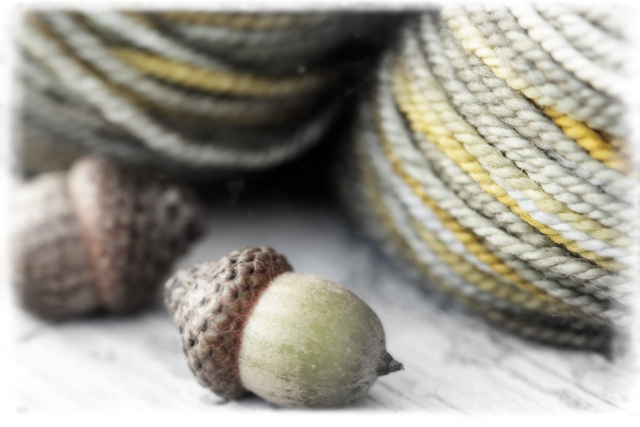 You make me want to dedicate more of myself to photography and of course, always knitting. The treatments us use in the photographs are truly beautiful! That second picture is stunning. 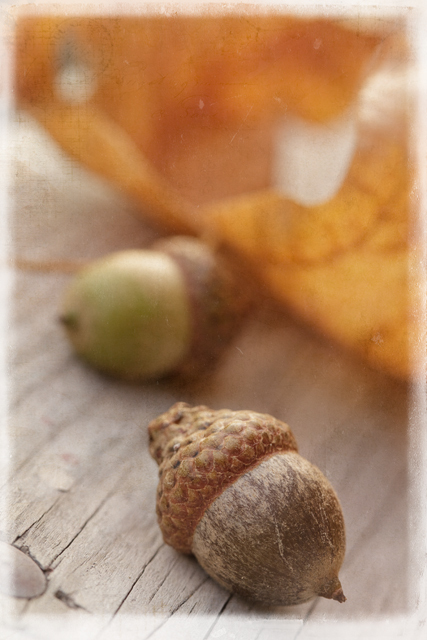 I love the little yellow accents peeking through, echoed just a little in the body of the acorn. Beautiful. I believe that a Happy Birthday wish is due you??!!! Have another great year!! !